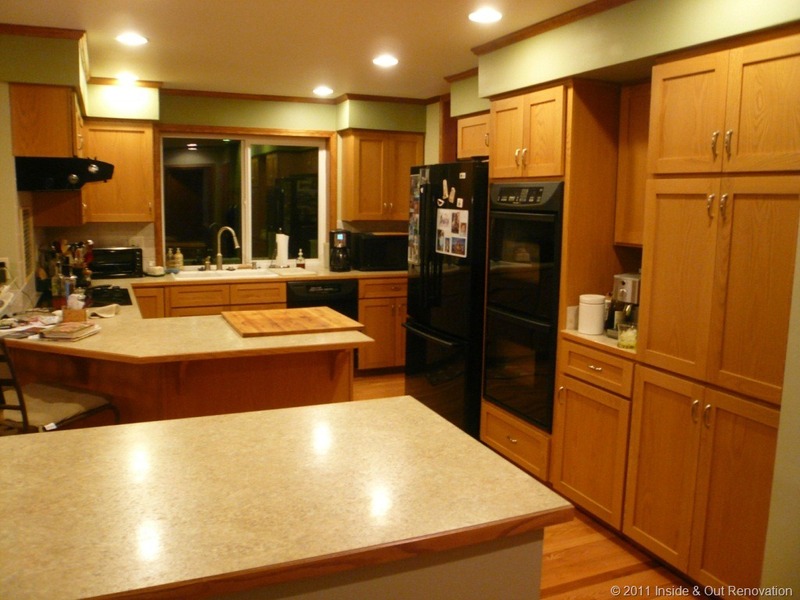 The customer for this lovely Bothell home was tired of the water stains on the lower cabinets and hinges that no longer worked. With a budget that made re-facing the best option, new doors were measured and custom finished. The customer chose laminate countertops to allow for other upgrades like real wood crown molding, custom pull outs, additional recessed lighting, and a third color of paint. The customer wanted to be able to wash cookie sheets fully submerged in the sink and so chose a Kohler Deerfield sink with a high rise Moen faucet. 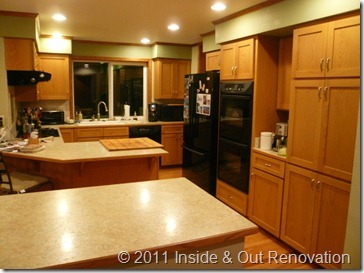 One final request, refinished oak floors brought the finishing touch to a lovely kitchen.